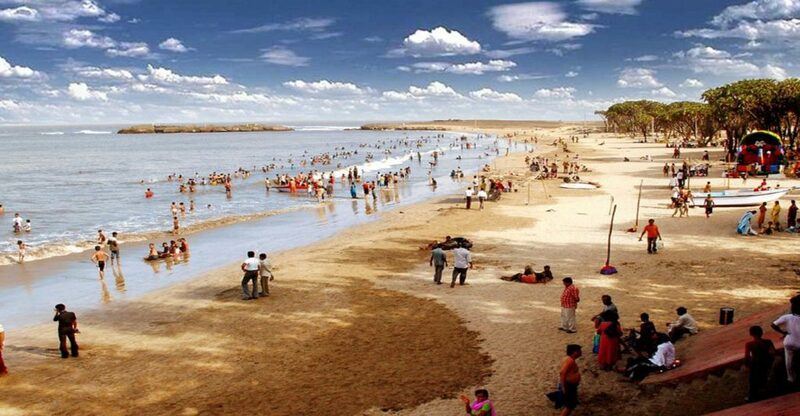 Nagoa beach is the most popular and populated beach on the island located 9 km. from the Diu town centre and connected by excellent highway. The Nagoa beach spans approximately 2kms from end to end. One can take a leisurely walk along its shore and feel the calm sea breeze invigorating the senses. Watching the sunset and/or the sunrise also has a great becalming effect. 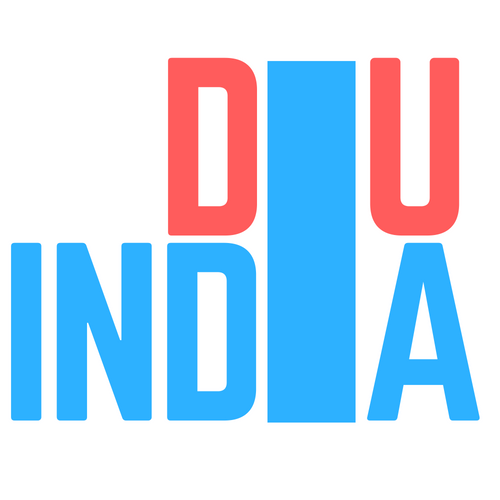 However, to get a 360° view of the coast and the adjacent surroundings, one should scale the Diu Fort or go to the top of the lighthouse situated within the bastion. The reason for why it's famous is evident from the moment it comes into view over a small hillock. The shape of the beach is similar to the horseshoe. and this horseshoe bay is picturesque with its blue-green water and green palm fringed sandy beach onto which the waves lazily roll their way. The seacoast is lined with palm and Hoka trees that add to the splendour of the environs. Water-based sports like jet skiing, banana boating, speed boating, parasailing, and water scooting are also taken advantage of by visitors. 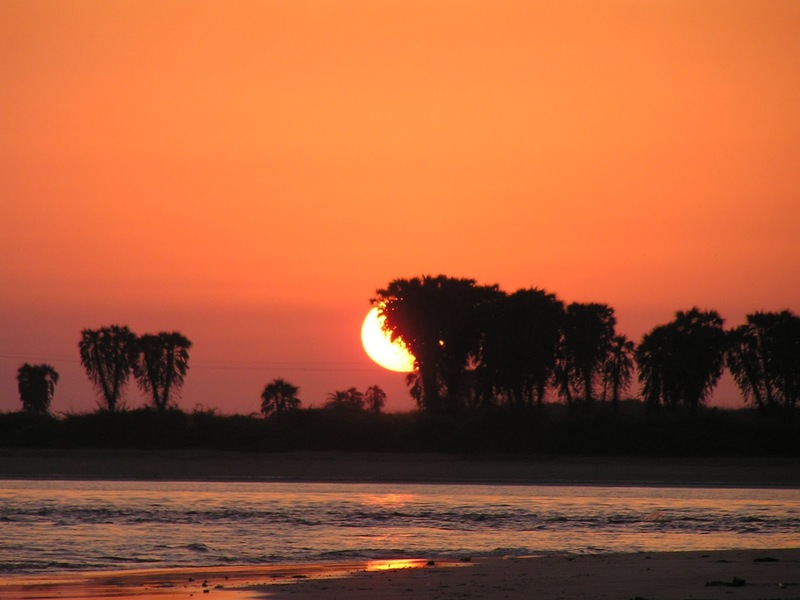 There are numerous other beaches in the vicinity that you can head to including the Ghogha Beach, Gomati Mata Beach, Khodidhar Beach, Jallandhar Beach, and the Chakratirth Beach. 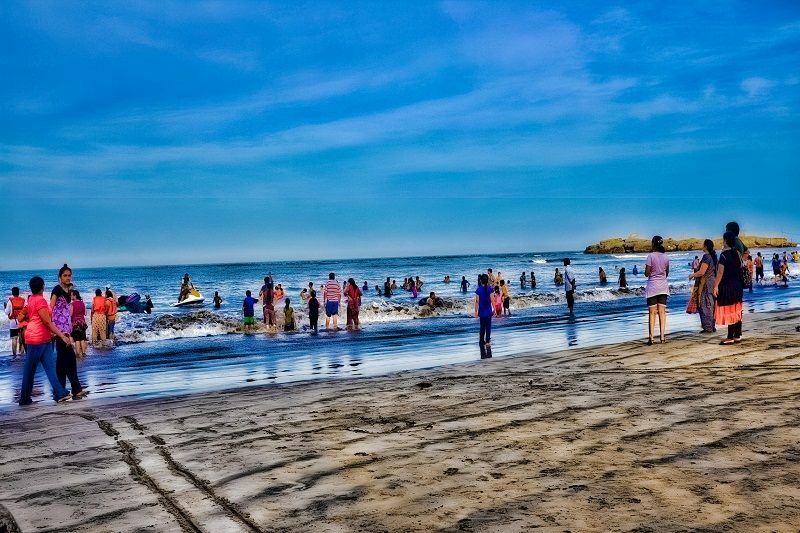 Nagoa beach is safe to swim even during the monsoon season. However, look out for the stinging jellyfish pre-monsoons! There are nice walks around Nagoa; along the cliffs, in the forest nearby & to Diu town (8-10 km). The Nagoa cliffs, scenic with their almost surreal landscape are relaxing to visit & offer some great sunset views.